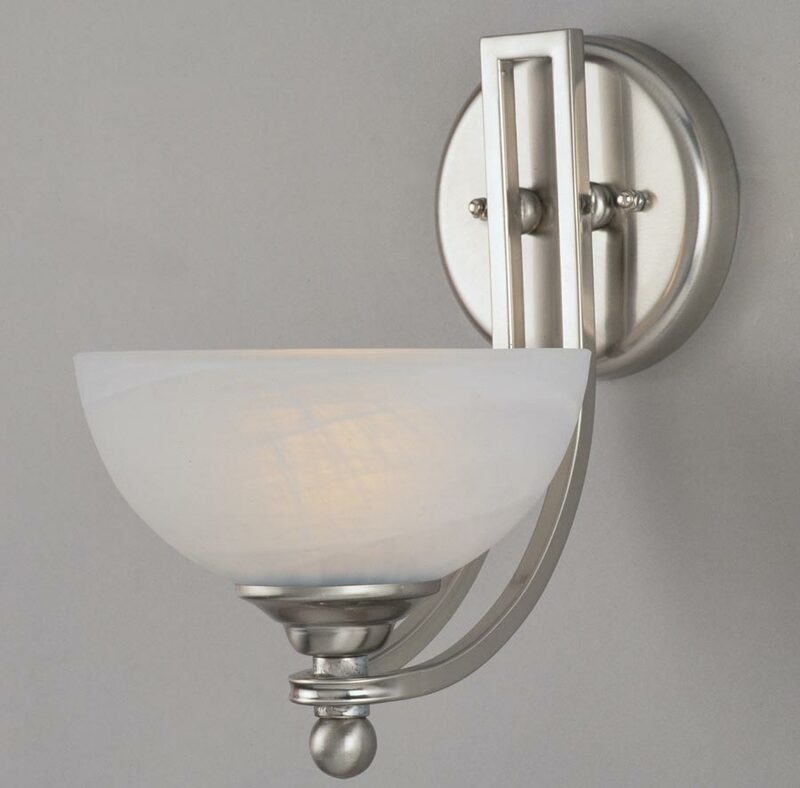 This Texas Art Deco style satin nickel finish single wall light with marble effect shade features 1920’s chic, with circular wall bracket, double curved arm and marbled glass dish shade. If you are searching for a wall lighting feature with the grace and charm of Art Deco you have found it. Part of the Texas Art Deco lighting collection which includes a semi flush ceiling light and two chandeliers; please see below. Please contact the sales team where we will be happy to offer a price for shipping to Prague.